Pretty much anything that involves shaving cream is a huge hit in our house. The Shaving Cream Car Wash and Shaving Cream Bathtub Paints are some of our most favorite activities so I am not sure why it took me so long to try shaving cream marbling with the girls. 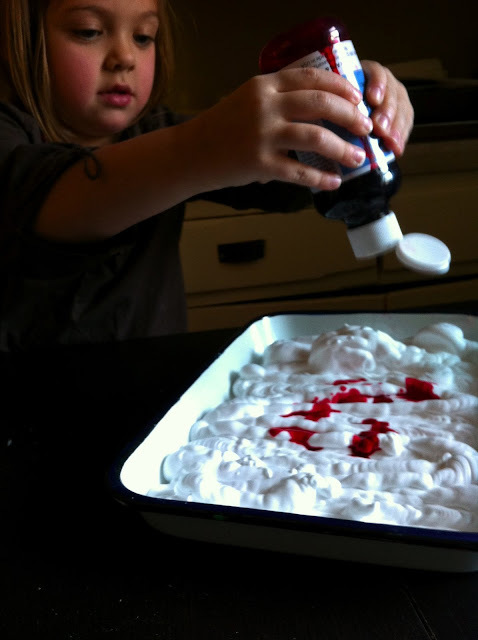 I found some great directions for Shaving Cream Marbling from The Imagination Tree. 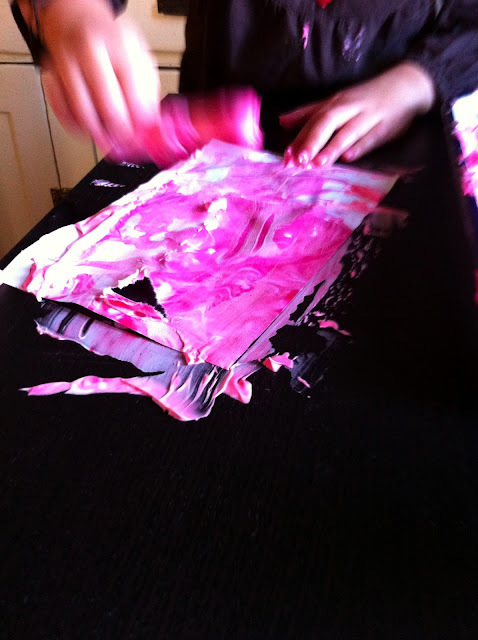 We started by filling a shallow pan with shaving cream and adding a few drops of liquid watercolor. The directions from The Imagination Tree used food coloring which also seemed to work well too. Once the Bee had dropped some watercolors into the shaving cream she then used a popsicle stick to swirl the paint around a pit. Next we took a sheet of paper I had cut to fit in the pan and laid it right into the shaving cream. 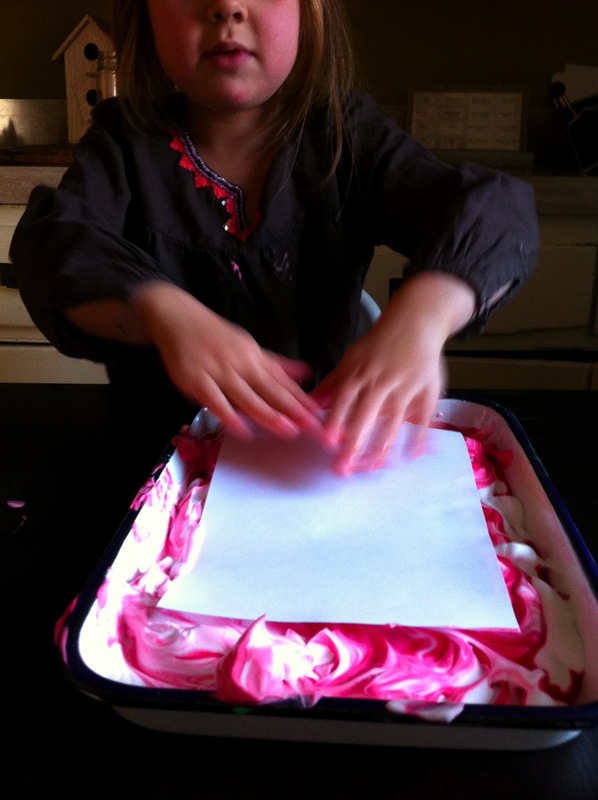 She then pressed the paper down into the shaving cream to cover the whole surface. Finally we picked up the paper to find that a lot of shaving cream had stuck to it. Using the side of a clean popsicle stick we scraped off the shaving cream. The first one the Bee did she scraped really hard and tore the paper. We then realized that just gently wiping the shaving cream off was enough. We then laid the paper to the side to dry. We were both amazed to discover the beautiful marble pattern left on the paper. I am not sure the science behind it but somehow the shaving cream seems to adhere to the paint to the paper because even though we only painted one side the marbling can be seen on both sides of the paper. We had a lot of fun doing this and made a bunch of marbled sheets. The Bean was sick and taking an extended nap the afternoon we did this but I would like to try it again with her, I think she would love it.